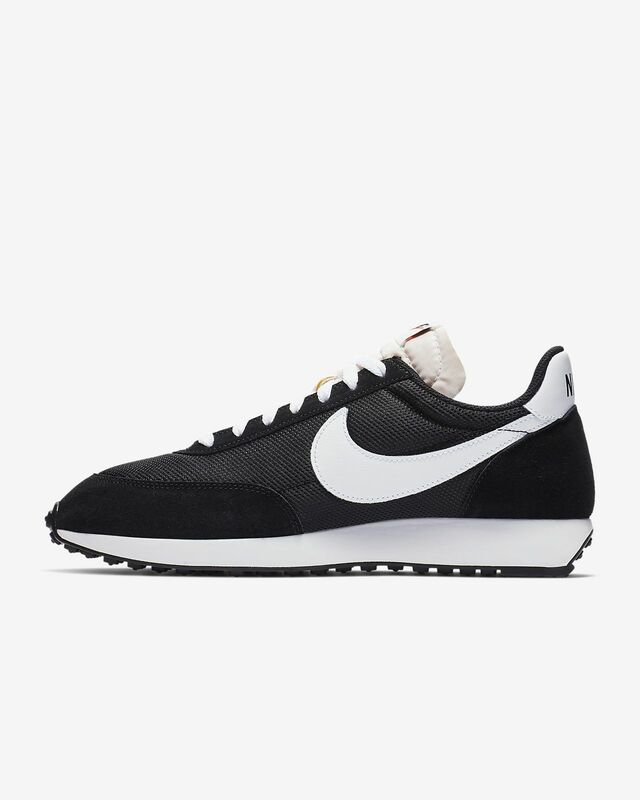 Making its debut in 1978 for the Honolulu Marathon, the Nike Air Tailwind was a revolution in cushioning. Now, a racing icon returns with the Nike Air Tailwind 79, featuring nearly original materials and colours, plus the Nike Air unit that made it a winner. 40 YEARS LATER AND FAST AS EVER. Materials, shape and colours are as close to the original as possible. Textile and leather upper gives comfortable support. Rubber outsole with Waffle traction pattern has durable grip. Making its debut in Hawaii for the Honolulu Marathon in 1978, the Nike Tailwind was a revolution in cushioning. The first shoe to feature full-length Nike Air, it became an instant classic with its nylon upper and silver mesh, the idea of which was to make the shoe look light and fast and like the wind.